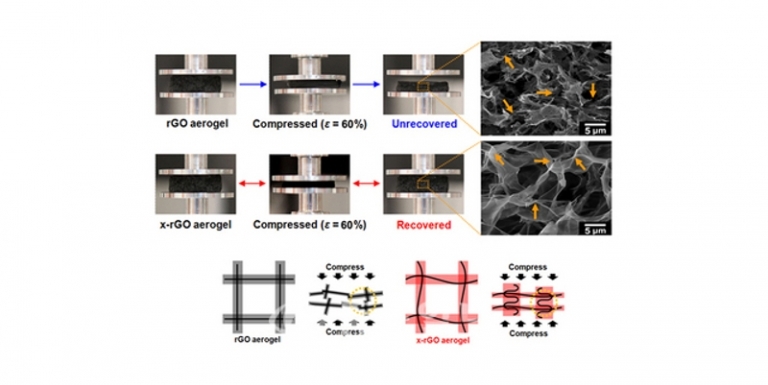 A Korean team of researchers developed a method to synthesize thin graphene film by rolling up metallic foil used as a catalyst. The research team of Professor Jo Gil-won from POSTECH Dept. of Chemical Engineering, researcher Bong Hyo-jin and Dr. Jo Sae-byeok announced on the 19th that it had developed a technology to drastically improve production efficiency of graphene, which is drawing attention as a ‘dream material’ because of its electric conductivity higher than copper, strength greater than steel and thermal conductivity higher than diamond, by rolling it into the form of a scroll. The outcome of this study, which was recently published as a cover paper of an international academic journal for materials field ‘Nanoscale,’ draws academic circles’ attention by being a technology for large-area mass-production system that is directly relevant with graphene commercialization. Although numerous studies are being conducted on graphene competitively across the globe, studies about large-area mass-production system have not made any progresses. This is because not only it involves a large amount of raw ingredient and energy consumption, but also it requires complicated facilities and a long production time. Samsung Electronics Co., the world’s largest computer memory-chip maker, said Friday it has developed a graphene device that could help revolutionize the capabilities of transistors. 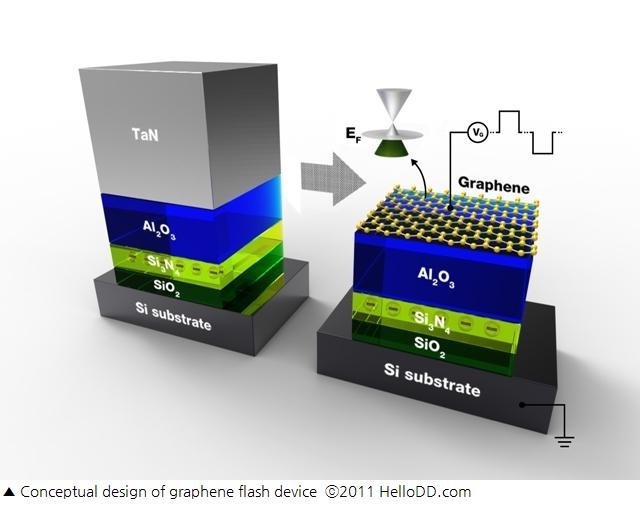 Samsung’s advanced institute of technology said it has successfully created a three-terminal active device with a graphene variable barrier, which can effectively cut off electric currents in transistors. 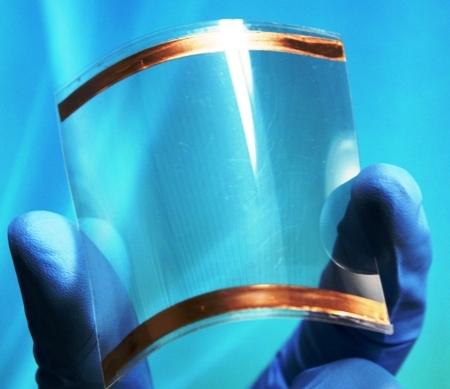 Graphene is a super-strong and flexible material with the potential to be used in next-generation semiconductors and displays. Until now, its inability to cut off electric currents has made its use in transistors impossible. The latest breakthrough has been published in the online edition of Science Magazine and nine patents have been secured. Cryo-regeneration may not be a science fiction anymore. You may see awakened frozen people on the street in the future. A Korean research team has developed a technology that enables researchers to watch and analyze liquid with graphene, one-atom-thick slice of graphite, for the first times in the world. It is generally regarded impossible to bring frozen humans back to life again because body cells are destroyed in the freezing in the thawing process. However, if scientists could find what is happening to cell liquid during the process with the technology, they would eventually succeed in reviving frozen humans, according to the team from the Korea Advanced Institute of Science and Technology (KAIST) in Daejeon, about 160 kilometers south of Seoul. Big things come in small packages. As man expands the world and discovers new possibilities, size becomes an essential property of our technological revolution. With the emergence of new technologies, miniaturization is the name of the game. February 16, 2012 marks the eventful agreement between Dr. Lee Keon-woong who leads his Nano Hybrid Technology Research Center at the Korea Electro-technology Research Institute (KERI) and Sang Bo Corporation (Sang Bo). This agreement allows for mass production and commercialization of graphene, one of the most prominent and desired nanomaterials of the current age. It will provide the soft electronic technology necessary to produce computers that can be folded, fitted into bags, and even wound around wrists. Graphene is a two-dimensional nanomaterial with the thickness of a single atom. Its quantum mechanical structure possesses excellent electric, physical, and chemical features, making it the most ideal material for application due to its high electric conductivity and charge mobility. This finding led to an explosion of related studies over recent years. Hence, the technology has been the center of attention in both public and private sectors. The Korean government launched a KRW 210 billion program to develop graphene and to promote this technology. Under this national consensus and drive to enhance this technology, KERI, one of the leading national public research centers, joined forces with the most renowned company in graphene manufacturing. 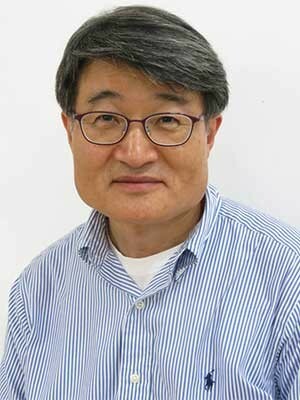 A research team led by Prof. Cho Byung-jin at KAIST demonstrated that if the metal gate electrode in conventional silicon-based semiconductors is replaced with a graphene electrode, the performance and credibility of the semiconductors can be improved to a level that is required in the future semiconductor market. The research finding is noteworthy because it does not require significant change to the conventional semiconductor production process. It is a technique that can be applied directly to semiconductor devices that are currently being mass produced. Thus far, graphene has never been applied to silicon-based electronic devices, which constitute the centerpiece of the global semiconductor market. The research team anticipates the new technology could be directly applied to mass production in the near future.